Being a highly medicinal and rejuvenative herb, Garlic benefits health in various ways. 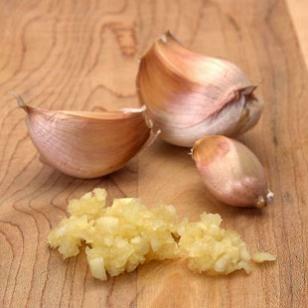 Garlic cures cough, cold, skin infections, acne, etc. and helps control issues like blood pressure, blood sugar, cholesterol (lowers LDL) and rheumatic disorders. It is a herb of the onion family and has two basic varieties, that is, hardneck (larger cloves with more garlic flavor) and softneck (smaller cloves). This sharp, pungent smelling herb includes almost 6 to 35 cloves in a bulb. Garlic is also known as Italian perfume, Poor Man’s Treacle, Stinking rose and Bronx vanilla. Garlic is believed to be native to central Asia. However, it is grown globally now. Nevertheless, China, India, Egypt, South Korea and Russia are some of the major garlic producers in the world. The herb belongs to the Liliaceae family. Garlic has antimicrobial, antispasmodic, astringent, vulnerary (wound healing), stimulant, aphrodisiacal, diuretic and expectorant properties. It strengthens the immune system and fights fungal and bacterial infections. When taken regularly, it stimulates the liver and improves metabolism. Raw garlic benefits health by facilitating the treatment of conditions like atherosclerosis, arthritis, tuberculosis, bronchitis, pneumonia, insomnia, hypoglycemia, intestinal worms, digestive disorders, bladder stones, allergies, and various other diseases. Plus, it is works as a good detoxifier. Moreover, garlic helps cure sexual disorders. The herb helps avoid hardening of arteries and prevents colon cancer, stomach cancer and oesophageal cancer as it contains natural antioxidants and compounds with anti cancer properties. The distinct smell of garlic is attributed to the accumulation of sulphur compounds in the underground garlic bulb. Garlic is beneficial in lowering blood pressure because it helps dilate peripheral blood vessels. It is also considered as a valuable home remedy for cold and flu as it helps dissolve accumulated phlegm. In case of pregnant women, it is believed that intake of garlic reduces the risk of pre-eclampsia. • Chop three cloves of garlic and boil them in milk. Consume this preparation every night to reduce hypertension and arteriosclerosis. Garlic tincture is also beneficial in this regard. • Regularly having two to three cloves of this therapeutic herb (raw) serves as one of the best garlic home remedies for controlling blood sugar, blood pressure and cholesterol. Besides, cooked garlic, too, helps prevent heart disease. • A mixture of three to four grated garlic in a cup honey (mixture keep overnight), is useful in curing cough. To follow this therapy, take one teaspoon of this mixture two times in a day. In case of whooping cough in children, extract the juice of a garlic clove and give it to the child about 2-3 times in a day. • When suffering from cold and congestion, boil a cup of water, add two cloves of garlic (crushed) and half a teaspoon of turmeric powder in it. Finally, consume the mixture. Here’s a video showing how to get rid of cough using a garlic plaster. • Garlic benefits in getting rid of intestinal gas and digestive problems, too. For this, you can take about two to three garlic cloves along with warm water. Follow this natural remedy early in the morning. Garlic soup is also helpful in this regard. • Putting three drops of garlic oil in ear relieves ear pain. • Applying a piece of crushed garlic or some garlic oil on the affected area serves as an effective garlic cure for toothache. • Applying two crushed garlic cloves on skin overnight works as a valuable home remedy to heal warts, boils and corns on foot. In case you do not want to put this herb directly on skin then fry one teaspoon of crushed garlic in two tablespoons of coconut oil and use the solution on skin to get rid of skin infections. • Rubbing a few cloves of garlic on the affected areas works as a natural home medicine for acne and pimples because due to its anti-inflammatory properties. However, you need not follow this treatment if it causes burning sensation. Nevertheless, you can eat fried garlic cloves to flush out toxins. • When dealing with yeast infection, garlic pods can be crushed and wrapped in a cheese cloth and then applied on the affected area for about 15-20 minutes to alleviate symptoms like itching. Avoid using this therapy in case it gives rise to burning sensation. • Having a garlic capsule three times in a day is useful in controlling Rheumatic disorders. For Diabetes, it is suggested to take one capsule in a day. • Mix one cup honey, one cup apple cider vinegar, eight cloves of garlic and add some lemon and cayenne pepper in the solution. Store this mixture in the refrigerator for about five days. Before breakfast, have two teaspoons of this garlic home remedy mixed in a glass of water or some fruit juice such as orange juice. Regular intake of this natural medicine helps cure a number of ailments like joint pain, high blood pressure, arthritis, ulcers, hemorrhoids, impotence, obesity, etc. • You can modify the above solution by using three cloves of garlic, 300 ml of apple cider vinegar and 50g of honey. First, place the garlic cloves in a pint of water and simmer. Strain the mixture after 20 minutes. Next, add the other two ingredients in the solution and boil the mixture. Finally, consume the resultant syrup regularly as a natural treatment for dealing with asthma and improving memory, too. Apart from these health benefits of garlic, the herb is also used for culinary purposes. In earlier times, it was believed that garlic repelled vampires. Greek athletes used to eat garlic before competitions for stimulation. Besides, according to Egyptian folklore, garlic wards off “evil eye”. 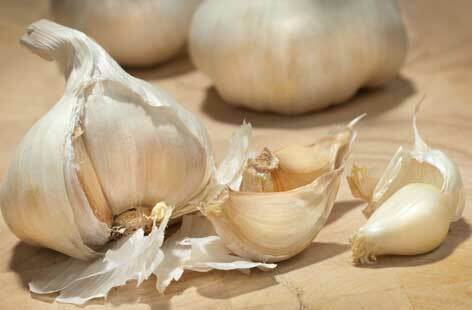 Coming back to tips about garlic, having an apple after consuming garlic reduces bad breath caused by this herb. Moreover, you can chew fresh parsley. Similarly, drinking a cup of water mixed with one tablespoon of apple cider vinegar is also useful in getting rid of garlic breath. 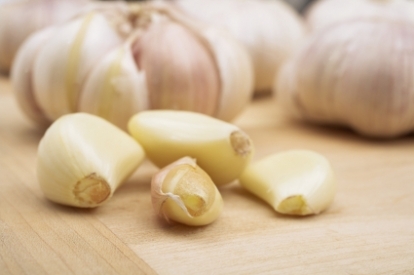 The most obvious side effect of garlic is bad breath. As this herb is quite strong, excess consumption of raw garlic irritation in the digestive tract. In addition, garlic intake can interfere with anti coagulants. Besides, certain individuals may be allergic to this herb. Garlic benefits health mostly when taken in raw form or as by way of garlic extracts. However, if you are bothered about nasty garlic breath, you can consider taking garlic pills and capsules. I have been using fresh garlic but my wife complained too much of the odour, I had to abandoned it. But recently I got a powdered (dried and grined) one which has less odour, and is very effective. I am taking it with tea, coffee, yoghurt and in soup/stew while eating food. I stopped taking tables for headache and fever since then. It keeps me free from fatigue, fever, cold and so many diseases. Thanks.